Cheetos Popcorn arrives at Regal Cinemas movie theaters nationwide starting December 15, 2017. 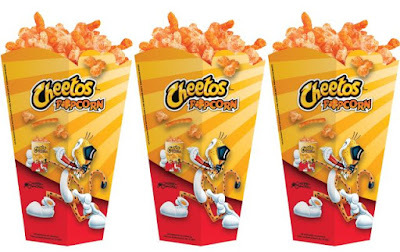 The cheesy snack features the theater chain's popcorn mixed with Cheetos flavor as well as Crunchy Cheetos. It will be available for purchase at participating locations in 32-oz cups. 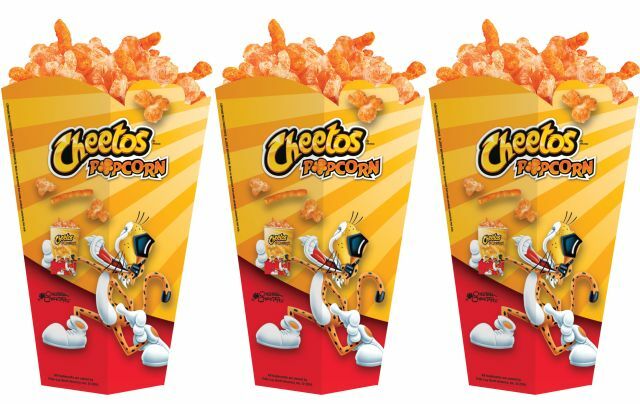 Cheetos Popcorn has been available at other venues, Regal Cinemas is the first national movie theater chain to offer it nationwide.